Over the years I have dispensed Silhouette, Lindberg, Minima & Polaris which are widely available some of of the most popular rimless mounts available. However I believe Pinfeel are the best currently available on the market. From just 4.6g Pinfeel is the only rimless collection in the world that positions 2 tiny pins into the lens edge which immediatly offers greater unobstructed fields of vision, an easy to clean lens surface and an elegant appearance due to the lack of unsightly screws or plugs. 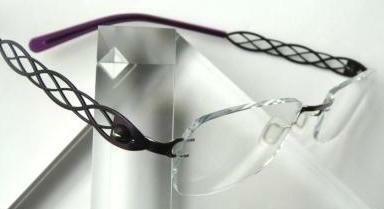 Combined with trivex lenses Pinfeel also puts an end to the age old problem of fragility. I am increasingly finding existing pinfeel wearers asking for their children to be fitted with them, the youngest of which was only 8 years old. Prices start at £440 including single vision trivex lenses, antireflection coating & Eye Examination.